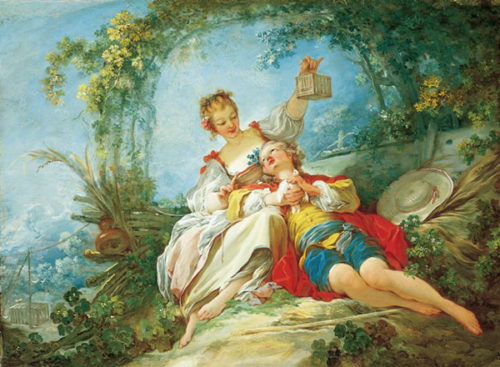 An arts engagement project of Zócalo Public Square and the Getty. 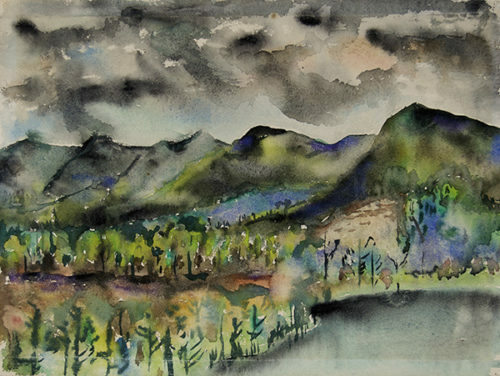 Joseph Fiore, Black Mountain, Lake Eden, 1954. 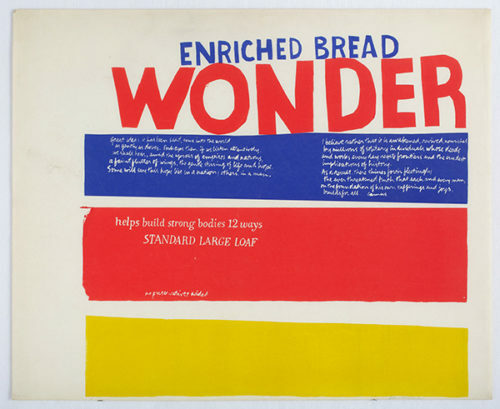 Image courtesy of Asheville Art Museum, Black Mountain College Collection. 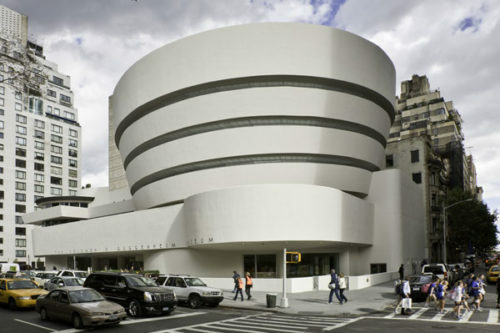 The Guggenheim’s divine influence in one writer’s life. 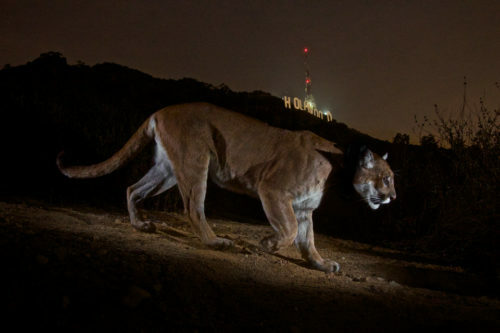 Pictures of L.A., beyond the stereotypes. 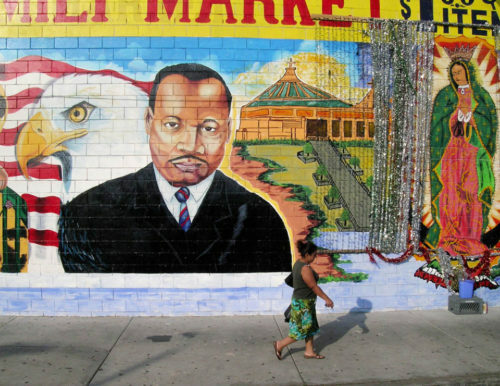 Camilo José Vergara photographs tributes to the civil rights leader on walls across Los Angeles. 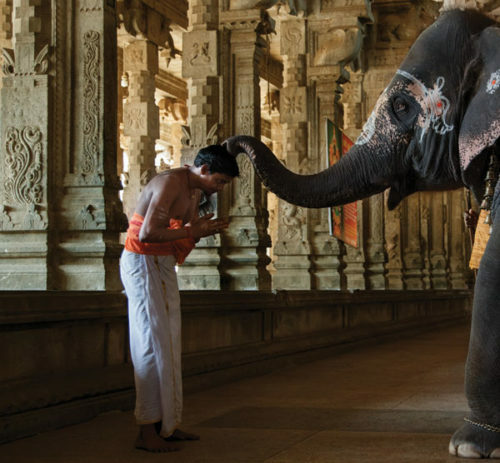 Are India’s Elephants Blessed Creatures or Indentured Servants? Photographer Annette Bonnier captures the world surrounding the lives of Asian elephants in Indian society. 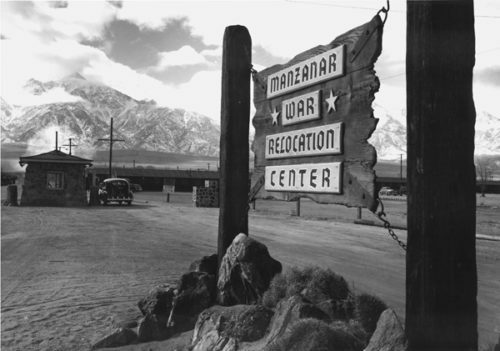 Ansel Adams photographs document life at the Manzanar internment camp during World War II. 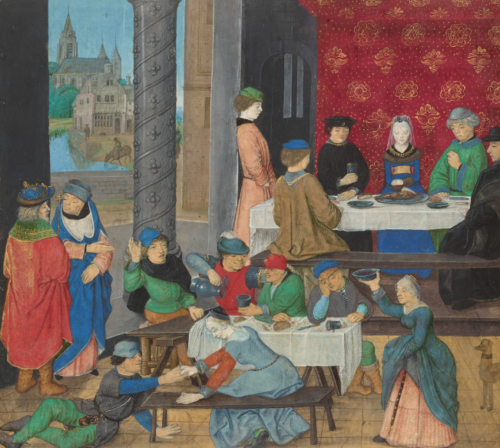 Why Aren’t People Eating in Medieval Depictions of Feasts? 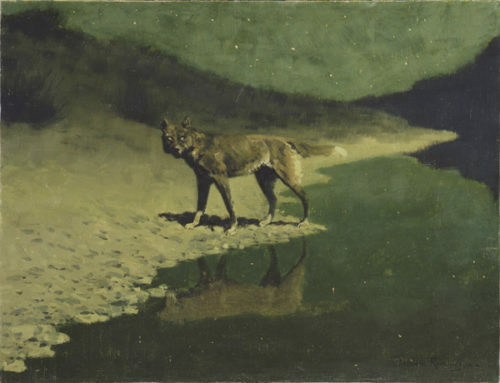 The medieval struggle to resist sin. Can Gluttony Set You Free? Prussian blue changed it all. 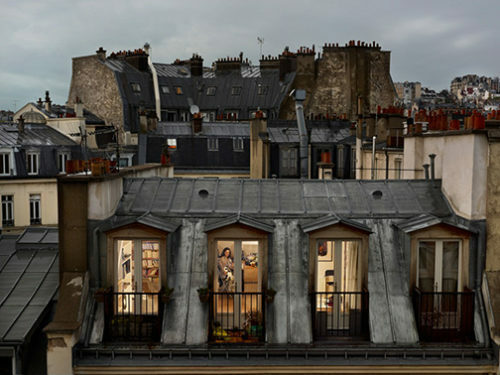 Photographer Gail Albert-Halaban spent a year exploring apartment windows of Paris.